Neonicotinoid pesticides, widely seen as a key cause of declining bee populations, are to be forbidden in France from this Saturday September 1. 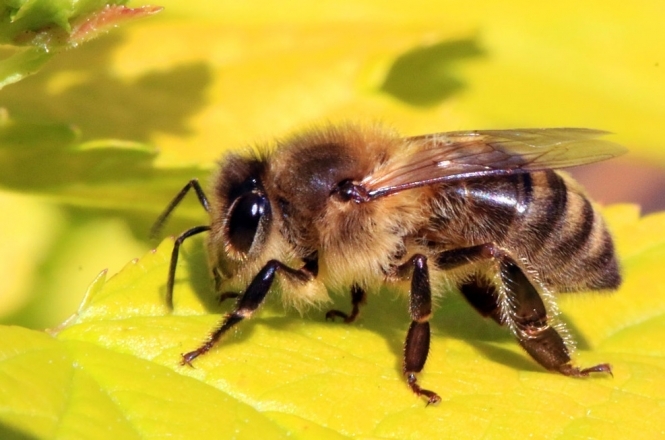 The ban will extend to seven neurotoxic insecticides - acetamiprid, clothianidin, imidacloprid, thiacloprid, thiamethoxam, nitenpyram and dinotefuran - and is designed to protect declining bee numbers and resultant crop failure. Available since the mid-1990s, neonicotinoid pesticides have often been used to get rid of poisonous chenille caterpillars, cochineal bugs, aphids, and woodlice, and are widely described as the most commonly-used pesticides in the world. However, neonicotinoids - even in small amounts - have been blamed for declining bee numbers and attendant problems, with beekeepers noting a significant decline in hive activity, and a rise in bee death rates since the introduction of the pesticides. The substances have already been under restriction by the EU since 2013. In April, the EU banned clothianidin, thiamethoxam and imidacloprid from use on farms and in fields (although they will still be allowed in greenhouses), with the ban coming into force on December 19 this year. France will go further, with a biodiversity law made in 2016 finally banning all of the substances in question from September 1. Exceptions may be granted until July 1 2020, but only for pesticides made with acetamiprid, and only in “small amounts”, the French minister for ecological transition said. Yet, some environmental organisations have called on the government to go further still, by totally banning pesticides often called “new generation neonicotinoids”. These include flupyradifurone (which is already not allowed in France), and sulfoxaflor, an active ingredient in many pesticides - although a campaign to suspend the sale of the latter last year was successful. The ban has not been welcomed by farmers and producers, who say they are at a “dramatic impasse”, and claim to not have definite replacement options for the banned substances. Despite this, French food safety agency l'Agence Nationale de Sécurité Sanitaire de l'Alimentation, de l'Environnement et du Travail (Anses) has maintained that “sufficiently efficient and operational replacements exist” for the vast majority of the currently-permitted uses of neonicotinoids.